It is a known fact that underdeveloped and developing countries struggle to keep up with developed nations’ rapid growth. This is predominantly due to the lack of access to information, which is mostly online-based. African countries are lagging behind developed countries in terms of internet usage, and specifically broadband usage, but mobile education labs might offer a solution. For those of us who have the privilege of unlimited access to internet, we so easily forget the value of always having information on hand and being able to compare, analyse, enquire, buy or sell within a click. I was so touched by a video clip of a Kenyan man who was introduced to the internet for the first time, and used it to improve his skills and to help his community. This reminded me once again of the power and value of having access to information. In South Africa only 11% of the population have access to the internet, whilst Africa only represent 7% of the world’s internet users, despite being the second largest continent. Whilst there are initiatives such as the Cape Town’s Broadband Network Project which aims to provide free Wi-Fi to several rural areas, this is still merely cell phone based and therefore there is an immense shortage of fixed internet access and computer facilities. 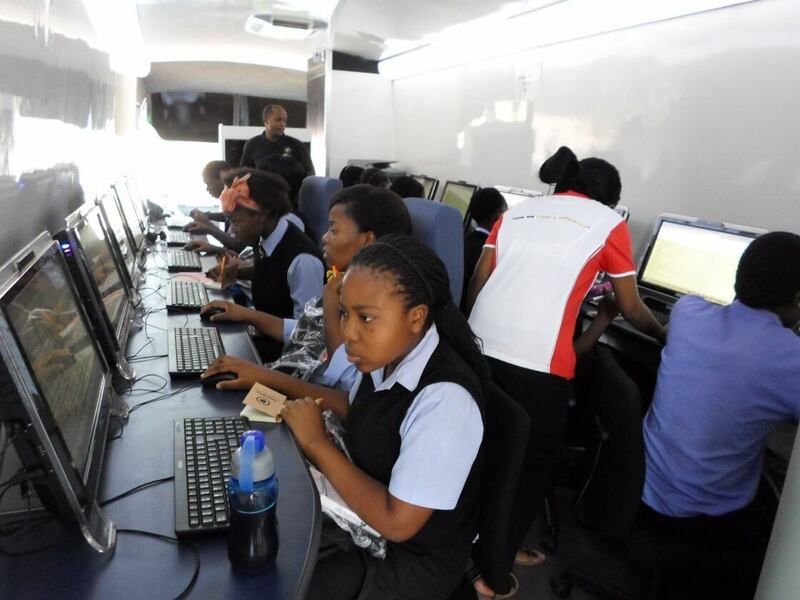 A recent solution for this shortage takes place in the form of mobile computer labs and mobile education centres – vehicles which are fully equipped with computers, networks, satellite internet connectivity, help desks and trained staff. Mobile Student Future, a subsidiary of MST, is capable of providing high-tech mobile solutions, specifically for this purpose. Mobile education centres will practically expose children who do not have access to this technology, especially those in rural communities, to computers and internet, while keeping cost per beneficiary as low as possible, something that MST CEO, Fernando Acafrao is passionate about. These mobile education centres can park in the heart of the communities in hard-to-reach areas to provide IT centres to students, as well as other residents who are in need of IT and online skills training. For more information on mobile computer labs and mobile education centres get in touch with Mobile Student Future here to identify the options available to you. In South Africa only 11% of the population have access to the internet.